Solvent based bitumen product. A primer for Evo-Stik flashband 79418 . Can be applied to porous and non-porous surfaces to improve adhesion. Surfaces may be damp but not wet. 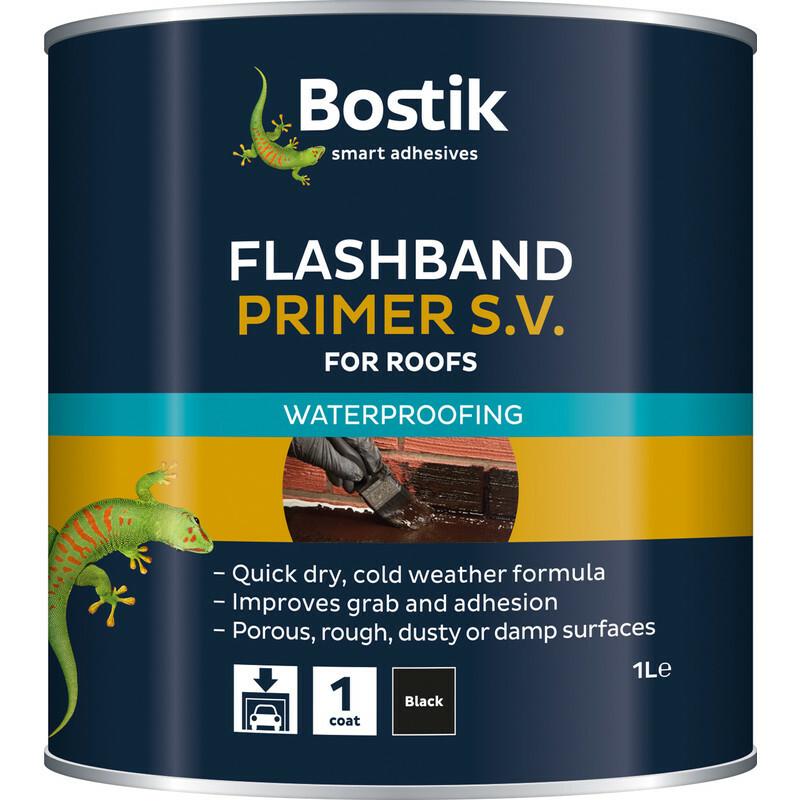 Bostik Flashband Primer 1L is rated 4.1 out of 5 by 7. Rated 4 out of 5 by Steve87 from Did the job Bought this after using the smaller tin which comes with some Flashband tape. This one was a bit watery and to be honest when everywhere! That said it so the job. Rated 5 out of 5 by Busy man from Good stuff but leaking tin ! Ordered online for next day delivery for a job next morning. Unfortunately the tin had leaked. The postman was covered in it and so was his van. He put it in a bin bag to deliver. He said he would have taken it back but I needed it. I signed for it and put damaged! I decided to take it back the next morning for a replacement. Very obliging guy in the Southend store gave me a replacement. Just a nuisance I had to make a journey. Rated 1 out of 5 by Macthewhadacall from Too much , too expensive, too thin. Have found other brands thicker (more thixotropic), with more sensible size tin( so less waste) and much more ecconomical ie. cheaper. very disappointed with this product. IMHO.